Step 1 : Find out the “maximum outstanding monthly balance” (i.e., the aggregate outstanding balance for each loan as on the last day of each month). Step 2 : Find out rate of interest charged by the State Bank of India (SBI) as on the first day of the relevant previous year in respect of loan for the same purpose advanced by it [see para 15.10-1]. Step 3 : Calculate interest for each month of the previous year on the outstanding amount mentioned in Step 1 at the rate of interest given in Step 2. Step 4 : From the total interest calculated for the entire previous year under Step 3, deduct interest actually recovered, if any, from the employee during the previous year. Step 5 : The balance amount [i.e. Step 3 minus Step 4] is taxable value of the perquisite. Perquisite in respect of travelling, touring, accommodation and any other expenses paid by employer for any holiday availed by employee (or any member of household) other than leave travel concession. Expenditure incurred by the Employer Value at which such facilities are offered by other agencies to the public. If any lunch allowance, dinner allowance or refreshment allowance is given to an employee, it is chargeable to tax. Tea, Snacks, and Non-alcoholic beverages in office premises Food in office premises or through non-transferable paid voucher usable only at eating joints. Find out Cost to the Employer NIL NIL Cost to the Employer in excess of Rs.50 per meal. 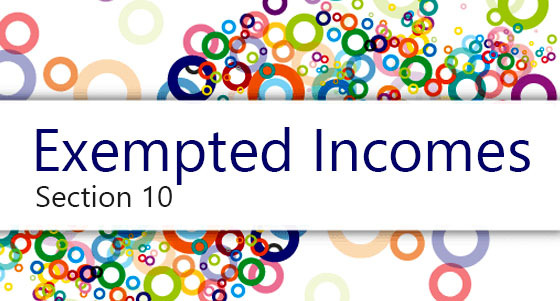 With effect from the Assessment Year 2010-11 onwards, this Perquisites is Taxable in the hands of all Employees due to abolition of Fringe Benefits. Perquisites Value is equal to Expenses, Membership Fees and Annual Fees incurred by the Employee and Reimbursed / Paid by the Employer. 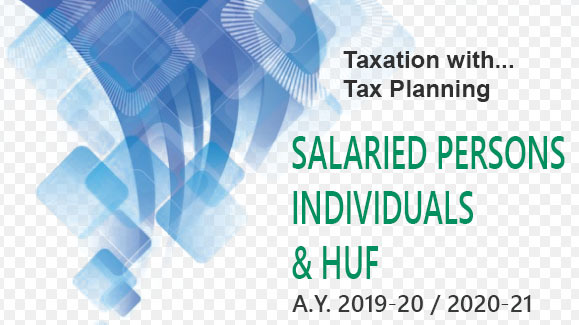 Note : With effect from the Assessment Year 2010-11 onwards, this Perquisites is Taxable in the hands of all Employees due to abolition of Fringe Benefits. Employers often extend membership of reputed Clubs to senior Corporate Employees and they can use the same for Private or Official purposes or for Both. 1. In case the Club facilities are used exclusively for official purposes, details pertaining to date, nature of expenditure and business purpose need to be maintained by the employer. 2. The employer gives a certificate for such expenditure to the effect that the same was incurred wholly and exclusively for the performance of official duties. With effect from the Assessment Year 2010-11 onwards, this perquisite is taxable in the hands of all employees due to abolition of fringe benefits tax. Perquisites Value is Rent/Hire Charges Paid / payable by the Employer. In case the Club facilities are used exclusively for official purposes, details pertaining to date, nature of expenditure and business purpose need to be maintained by the employer. The employer gives a certificate for such expenditure to the effect that the same was incurred wholly and exclusively for the performance of official duties. Perquisite Value is the difference between the Actual cost of assets as reduced by 50% (Reducing Balance Method) for each completed year from the period it was put to use and the amount paid by the employee. Perquisite Value is the difference between the Actual cost of assets as reduced by 20% (Reducing Balance Method) for each completed year from the period it was put to use and the amount paid by the employee. Perquisite Value is the difference between the Actual cost of assets as reduced by 10% of cost for each completed year from the period it was put to use and the amount paid by the employee. The employer will issue the shares of his company to the employees at a discount price compared to the market price or by free of cost in order to retain the best talent and enhance their commitment to the Company. Such shares have to be issued under Employees Stock Option Scheme (ESOS) or Employees Stock Option Plan of the Company (ESOP).